The Midvale Cottage Post: Miss Lillian's Postcards - Vintage Tweets from the 1900s: An Indiana Connection? Miss Lillian's Postcards - Vintage Tweets from the 1900s: An Indiana Connection? 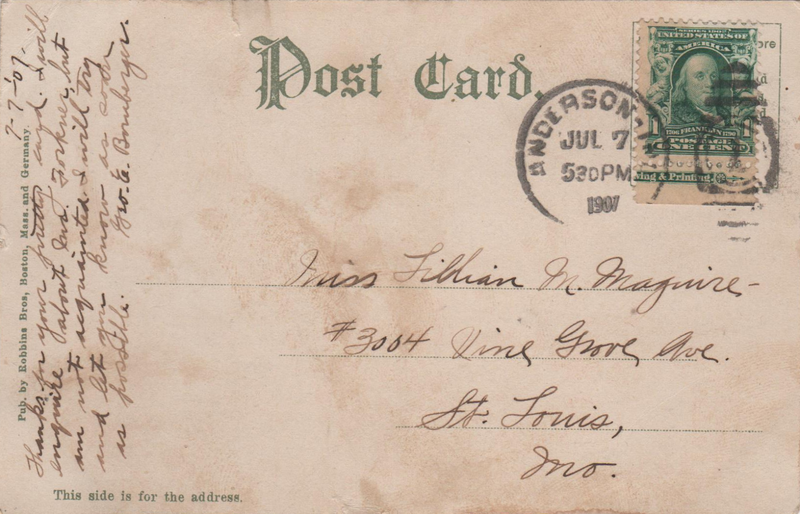 Addressee: Miss Lillian M. Maguire, #3004 Vine Grove Ave., St. Louis, Mo. Image: I.U.T. 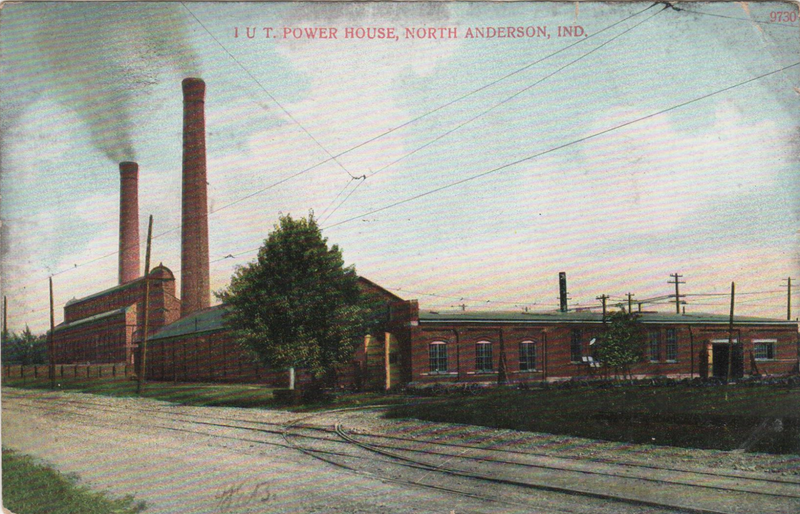 Power House, North Anderson, IND. Very mysterious - Why is Lillian trying to contact a Mr. Forkner via George Bomberger?An acquaintance of an acquaintance...?